Understanding cotton and its different weaves and properties is not as straight forward as you might think. 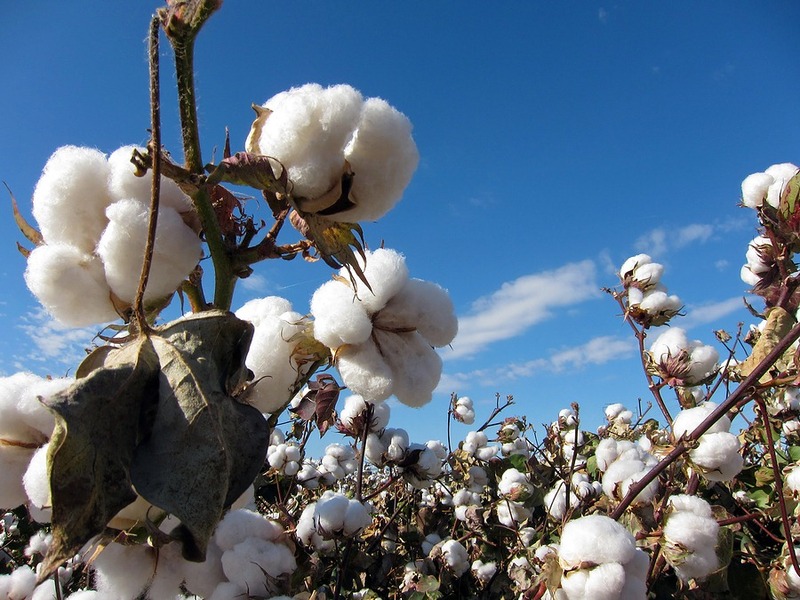 There a countless varieties available, all with varying levels of quality – and then there are even more alternatives when you consider that cotton can be blended with synthetic fabrics to give a cotton mix. We get plenty of queries about the cotton types within our pyjama collection and its clear the subject is not well understood by all. To determine the quality of a cotton one needs to know the length of the individual fibres, known as staples. Staples are twisted together to form the yarn, so the longer the staples the smoother and stronger the yarn and the better the quality and the resulting cotton. Pure Egyptian cotton is very fine and has one of the longest staples, but that does not necessarily mean that all cotton from Egypt has very long staples! As you can imagine it can be a bit of a minefield. When describing our pyjamas we often use the term 'long-staple combed cotton' which not only indicates the inherent fine quality but also the procedure of combing, which effectively removes any shorter or smaller fibres in the cotton. The result of the combing allows the cotton to be spun into a finer thread with more tensile strength - and then it can be woven into a beautifully soft finished product. Naturally the mill plays a vital part in creating the cotton by weaving it into the finished product. A good mill can make a low quality cotton appear reasonable whilst a bad mill can make the best quality cotton feel average. A combination of factors are involved in ensuring quality. weaves could be a topic on their own, but put simply there are three different primary weaves; plain, twill and satin. Cotton woven in its truest and most simple form is known as 'plain'. This tends to result in a crisp fabric such as our Egyptian cotton 'hypnos pyjamas' from our men's collection or our Egyptian cotton 'forty winks' ladies pyjamas. A twill weave tends to make a raised, thicker more diagonal pattern. We will later this year be launching a pair of plain navy twill pyjamas for men. Satin is a smooth, tight weave, resulting in one shiny surface and one matt surface - this produces the luxurious 'silk-style' cotton fabric we know as sateen. Our pretty blue floral pyjamas are made from 100% cotton sateen. As to which is weave better there is no straightforward answer as it’s a matter of personal taste. Some people prefer the crisp finish of a plain weave whilst others are attracted to the silk-like finish of sateen. In the cooler months people are drawn towards 'brushed cotton', however this is not a weave but simply a finishing process, whereby the fabric is brushed to raise a soft nap on the surface of the cotton, as with our 'sweet dreams' fabric which comes in women's pyjamas, nightshirts and matching pyjama shorts. Plenty is often talked of thread count, which simply refers to how many threads (lengthwise and width wise) are woven into one square inch of fabric. If the threads are very fine then more can be woven into each square inch, producing a softer, finer and even crisper material – pure Egyptian cotton being the perfect example. Is cotton nightwear the best? One of cotton's greatest benefits is that it breathes, ensuring it never feels sticky against your skin. This makes it ideal for nightwear. We work tirelessly to ensure that all our cottons of an extremely high quality and woven by the very best mills. We are eagerly looking forward to the autumn of 2014 when we will be launching our men's pyjamas in a twill weave, as well as some ladies silk pyjamas. That's a whole new subject for another day! Whatever happened to breakfast in bed?